Hey guys! 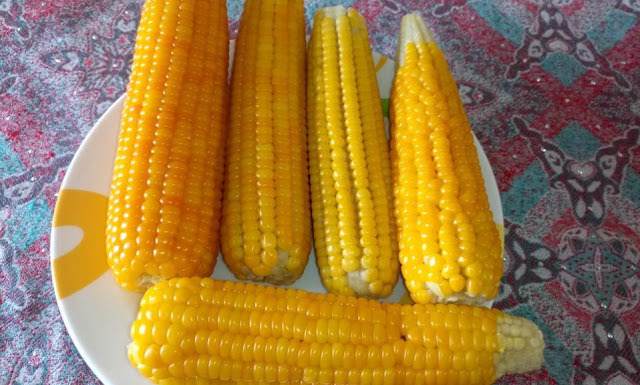 How do you enjoy your corn, boiled or grilled? I love mine boiled. Fresh corn on the cob can be a wonderful addition to any barbecue or special touch for a weeknight meal. 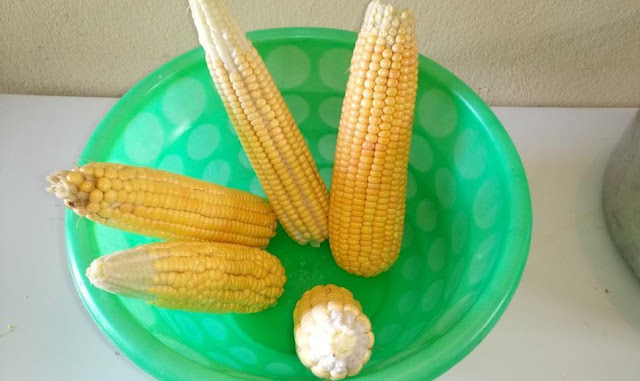 Boiled corn is simple to make, all you need is your fresh corn, salt and water. see the simple step below on how to properly boiled corn at home, this video above shows you the simple steps on how to boil corn on the cob. 1. 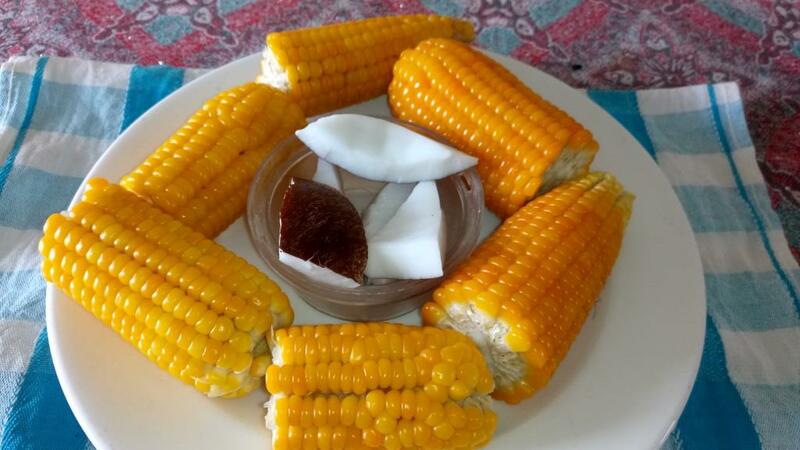 Carefully remove all the peels and the silk from the corn into a bowl and rinse with water. 3. 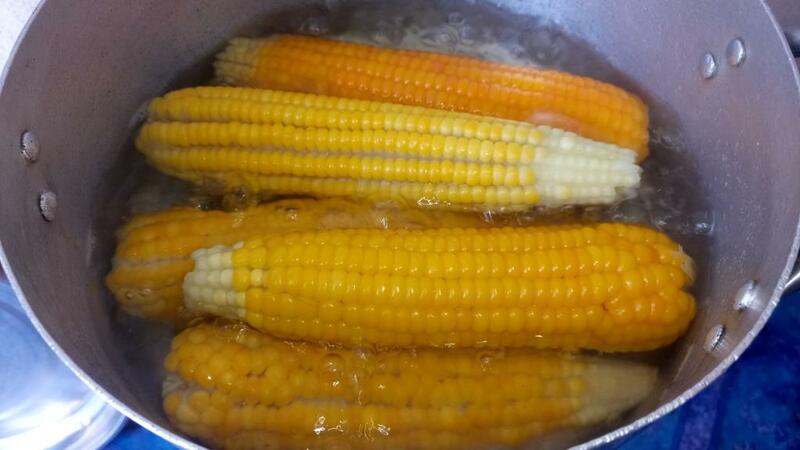 Cook the corn for 10 minutes and lift the side facing up with a tong downward so that it get cooked evenly. 4. Cook the corn for 20 minutes on high heat until it becomes soft, you can pick one of the seeds with a fork to taste if it is soft. 5. Drain the corn from the liquid and serve with African bush pear (Ube)or fresh coconut.